Most important point: Ensure the physical partition is large enough to hold the active logical volumes. If your logical volume is bigger than the physical volume you will not be able to mount or resize. 3. Press n then primary p start sector 63 last cylinder 838860799 to add the newly re-sized partition. 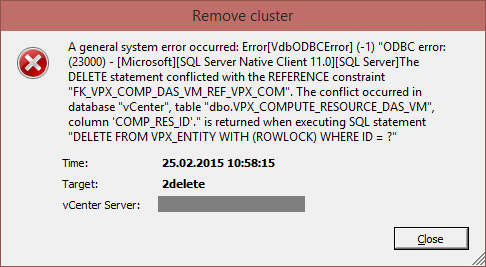 WARNING: Make sure the old and new partition start at the same sector position, not doing so will destroy your data. 9. You could also extend the volume group across disks and partitions: pvcreate /dev/hdb1; vgextend vgname /dev/hdb1; vgdisplay vgname. With this method use fdisk to create a new partition instead of recreating the original one. This is certainly safer since there is less risk to your existing data and it makes it easier to break up volume groups in the future. 14. ext2online /dev/vgname/volname while the filesystem is mounted or to be safe use resize2fs /dev/vgname/volname while the filesystem is unmounted. Note: resize2fs may require running e2fsck -f /dev/vgname/volname first. The installation of samba4 on Ubuntu 12.04 LTS is not really straight-forward. The provisioning is now running for a second time but the deb-package is successfully installed. There are several websites discussing the installation of ArcServe Backup Agent on Ubuntu Server which is officially unsupported by CA. With R16 SP1 none of the tricks seem to work, so I found out my own way of successfully installing the Agent on Ubuntu 10.04 64bit. Warning! I recommend testing this on lab systems first! Any use on your own risk! Lange war ich dem Problem auf der Spur, warum keine HTML-Notifications in einem Monitoring-System unter Ubuntu funktionieren.